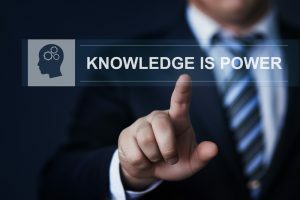 Property Professionals – Here’s Why Knowledge is Power! Knowledge is empowering in all aspects of life and it’s especially important in our professional life. In the property industry, thorough and up to date knowledge will set you apart and give you a competitive edge. Understanding current industry trends is more important than ever in a frequently changing and dynamic property climate. The Australian College of Professionals is a Registered Training Organisation, offering a wide range of training courses to keep your knowledge current and relevant. All of our courses meet the standards of the Australian Skills Quality Authority and our educators are highly qualified both practically and theoretically. Learning from industry leaders will put you at the forefront of your profession. ACOP offers training from entry level fundamentals right through to programs for qualified professionals seeking ongoing skills development. We also offer licensing in all industry sectors, as well as business training for your agency. This is the minimum qualification required to work with a licensed real estate agency. ACOP runs short workshops so you can obtain this statement. You may then work in sales, office administration or property management in both commercial and residential environments. Becoming licensed will give you a greater scope of practice and increased credibility with clients. With more qualifications, you will be employable in a wider range of locations and situations, giving you greater flexibility and choice. You can work more independently and you may one day consider running your own agency. At ACOP we Recognise Prior Learning (RPL). This means we take your industry knowledge and experience into account when assessing your training needs. This may reduce the duration and study requirements of your training course. Our training also meets the Government Smart and Skilled requirements and you may be eligible for Government Funding to cover costs. The property industry is always evolving, meaning your education needs evolve too. Obtaining the qualifications you desire is easy with ACOP. We offer face to face or distance education training options at affordable prices. If you would like to find out more about ongoing training opportunities or becoming a property professional, contact Australian College of Professionals today or call us on 1300 88 48 10.